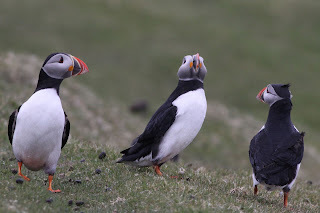 Fair Isle Bird Observatory: the Warden's diary: Northerly winds, but still more birds. Puffins were on land en-masse on 17th for most of the day, after unpredictable appearances so far this year. 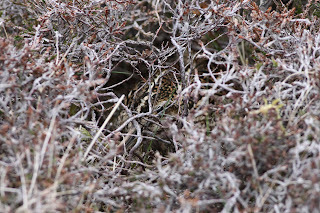 Attempts to access the monitoring plot at Greenholm have so far been scuppered by the weather, but there's plenty time to catch up on what's happening there and find out how the breeding season is going for them. With the wind getting more of a northerly element, the bulk of migrants were present in smaller numbers but there were still more highlights getting through in what is always one of the most enjoyable birding periods of the year. The 17th saw new highlights of an Icterine Warbler (an elusive bird at Da Water), two or three male Bluethroats (including a showy bird at the South Harbour), a Wryneck (trapped in the Gully, so presumably not the lingering South Harbour bird), Wood Sandpiper (the second of the spring on Da Water) and a Cuckoo. There were also still five Grey-headed Wagtails, the Ortolan at South Harbour, the Red-breasted Flycatcher (that reappeared in North Haven) and a Waxwing. 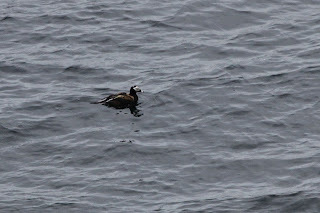 A smart drake Long-tailed Duck in Furse on 17th was found whilst repeatedly scanning for any sign of the presumed Pacific Diver seen on Shetland the previous day (and last reported heading south off Grutness!). The wind increased from the North again on 18th, with classic 'having to pedal to get downhill' reported from cycling staff and birding becoming increasingly difficult as most birds kept their heads down (or immediately disappearing half a mile down the island if they took off and caught the wind). Surprisingly, there were still new birds found, with the pick of the bunch being Fair Isle's earliest ever Marsh Warbler at Shirva. Two female Red-backed Shrikes included at least one new bird and two Snow Buntings were the first of their species to be seen for a while, whilst a male Bluethroat at Wirvie Burn may have been new. Other sightings included the Ortolan, Red-breasted Flycatcher, Waxwing, Wryneck, a Long-eared Owl, two Sparrowhawks and 12 Whimbrel. 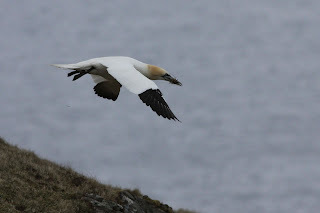 Gannets are one of the few seabirds that seem to be getting fully into the swing of things. Although Guillemot, Razorbill and Shag eggs have all been seen, most of the colonies seem to be progressing slowly. 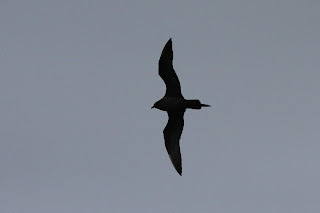 It could be another poor breeding season for the seabirds unless something happens soon. Arctic Skuas finally started appearing on their breeding sites during the last few days, but most days have seen counts of just nine or ten. You aint seen me, right? 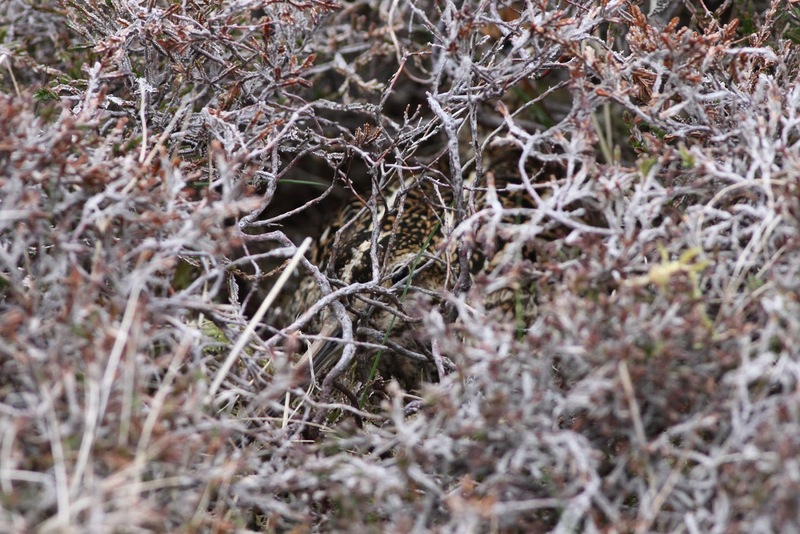 Breeding waders are progressing, with the first Lapwing chicks seen on 17th, whilst most other species are incubating (including this well hidden Snipe).